Has Max Domi Finally Solved the Canadiens’ Center Woes? Sometimes, a change of scenery really is all you need. 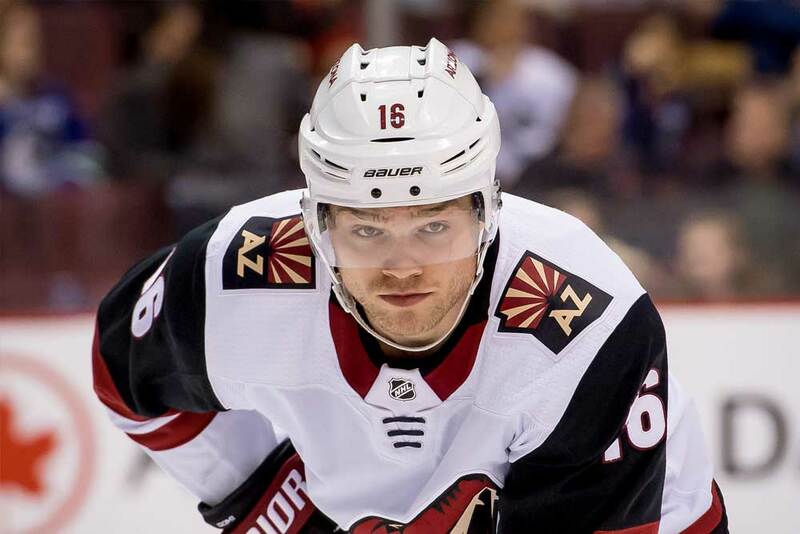 Following a promising rookie campaign in 2015-16 (52 points in 81 games), Max Domi hit a development wall in Arizona. His goal-scoring rate dropped in each subsequent year, and his confidence appeared to follow suit. The 23-year-old was ultimately dealt to Montreal in exchange for fellow underperformer Alex Galchenyuk in June. Upon first blush, many believed the Coyotes had won the trade. Through the first quarter of 2018-19, however, the Habs certainly can’t complain. Domi came screaming out of the gates and hasn’t slowed down since, racking up 26 points in 24 games. That’s tied for 20th in the entire NHL. 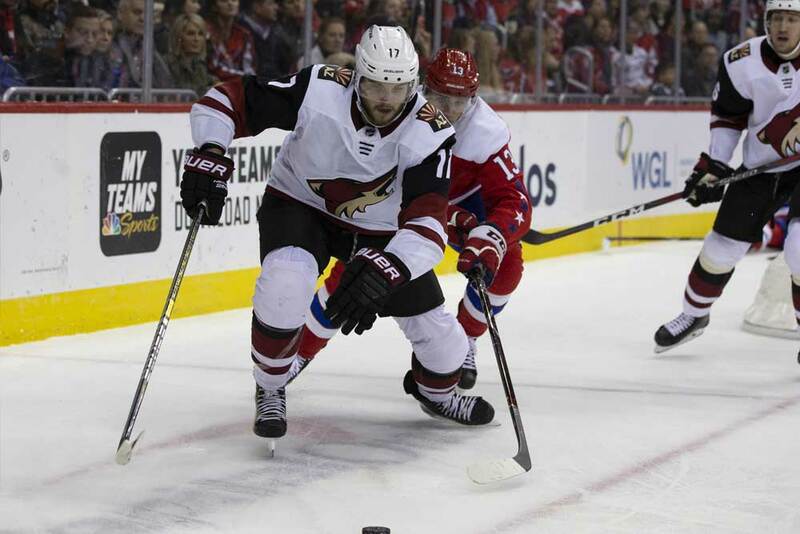 Galchenyuk hasn’t fared poorly in Arizona, either, registering nine points in 14 games. This may be viewed as a win-win move in time, but Montreal has unquestionably enjoyed the stronger results so far. Beyond the raw numbers, Domi’s hot start is noteworthy because he’s pulled it off at center. While that may seem trivial on the surface, it’s a crucial detail in Montreal because the Canadiens have sorely lacked a legitimate top-line pivot for the longest time — perhaps dating back to Saku Koivu’s prime. No, Tomas Plekanec and David Desharnais don’t count. This positional weakness has prevented the Habs from truly contending for a Stanley Cup. Just last season, Montreal tried to force a square peg into a round hole after acquiring Jonathan Drouin from the Tampa Bay Lightning in exchange for Mikhail Sergachev. He managed 46 points in 77 games in his first season with the Habs, but he didn’t even last the whole year at center. Though his playmaking ability and puck control should lend themselves to the position, he can’t seem to avoid the occasional glaring mistake — and when you bear a center’s three-zone responsibilities, these gaffes often end up in your net. He became tentative as the season wore on, afraid to take a chance at the risk of it backfiring. Whether in Tampa Bay or Montreal, he has never quite put it all together as a center. As Domi’s running mate, though, he has flourished with 20 points in 24 games. He’s surely enjoying the lighter defensive load and dimmer spotlight that come with life as a winger. He can now display his creativity without fearing as much criticism if one of his gambles ends up in a scoring chance for the opposition. For his part, Domi has seized this opportunity to grab the reins, adding a newfound verve and dynamism to a club that has typically played a rather safe brand of hockey. That’s perhaps the biggest difference between Domi and Galchenyuk’s starts to 2018-19. The former has altered the club’s entire play style. Speed and skill have replaced stinginess in Montreal, as the Habs have gone from the 29th-ranked offense last season to 15th in 2018-19. Obviously, there’s a long road ahead, but those early returns are definitely cause for optimism. About 10 games into the season, Canadiens head coach Claude Julien decided to pair Domi and Drouin with Andrew Shaw. While the latter has his share of boneheaded moments, he brings a bit of snarl and net-front presence to the top unit. This nicely complements the two stars’ vision and electrifying talent. For the first time in ages, the opposition isn’t focused squarely on unlocking Montreal’s defense and beating Carey Price. Coaches must respect and game-plan for the Habs’ top unit. So, the burning question now is clear: Can Domi maintain his success? There’s no definitive answer as of yet — that is why the games are played after all — but the statistics suggest that his performance should normalize to some degree as the season progresses. For starters, he’s currently shooting 20.4%. Prior to 2018-19, his career mark was 8.7%. Yeah, that’s a ridiculous spike. Granted, some of this may be the result of receiving better looks from his linemates. To his credit, Domi does appear to be a more willing shooter this season. He’s been a playmaker dating back to his days in the CHL, so finding the right pass-shoot balance is a major development. We also have to address puck luck. According to Corsica, Domi is currently riding an eye-popping and team-leading 107.2 PDO. Montreal only controls 47.4% of shot attempts when he’s on the ice, yet he sports a stellar 63.9 GF%. That’s considerably higher than his expected GF% of 47.4. It’s hard to draw conclusions from that because shot location is not necessarily tantamount to shot quality (a core issue with xGF% and scoring-chance metrics), but the disparity between those marks still raises a red flag. Even though the Habs’ first line has been abnormally effective at weathering the storm and counterattacking, it must stop bleeding shots and chances against. That level of opportunism is difficult to keep up over the long haul. At any rate, Domi’s ascent to stardom has had a ripple effect on the team’s other pivots. Phillip Danault, a responsible center with offensive limitations, can fully commit to his complete game because Domi and Drouin are carrying the lion’s share of the attacking load. This also allows 2018 third overall pick Jesperi Kotkaniemi to develop more organically. The 18-year-old is unquestionably skilled, but he doesn’t appear strong or polished enough to assume the role of 1C just yet. Thrusting him into that position would have been a recipe for disaster. Fans and the media would have raked him over the coals for every miscue. Domi’s presence and production afford the rookie a lower profile and much easier competition. Not every high draft pick is Connor McDavid or Auston Matthews. Most require a good amount of seasoning. Since knee-jerk reactions come with the territory in sports, many are quick to write off a youngster who is sheltered early on. It’s actually the ideal approach, though, as it lets the player learn the pro game at a comfortable pace. Kotkaniemi certainly hasn’t looked out of place in that environment early on, putting up 12 points in 24 games while his line controls 55.9% of shot attempts against bottom-six opposition. Without Domi to insulate him, we might be singing an awfully different tune. Keeping the full scope of his impact in mind, Domi has been spectacular. He’s produced exceptionally well while playing with infectious energy and fire. Granted, his numbers are bound to regress, but he doesn’t need to post 90-plus points (his current pace) to become the Habs’ first-line savior. If he can reach 70 points and consistently perform well, his value would extend far beyond that benchmark. He would force opponents to respect Montreal’s top unit and open the ice up for everyone else — from linemate Drouin to Tomas Tatar, Brendan Gallagher and Kotkaniemi. On a Canadiens club where offense has traditionally lagged far behind the team’s showings on the blue and in the crease, Domi’s emergence has been a godsend.